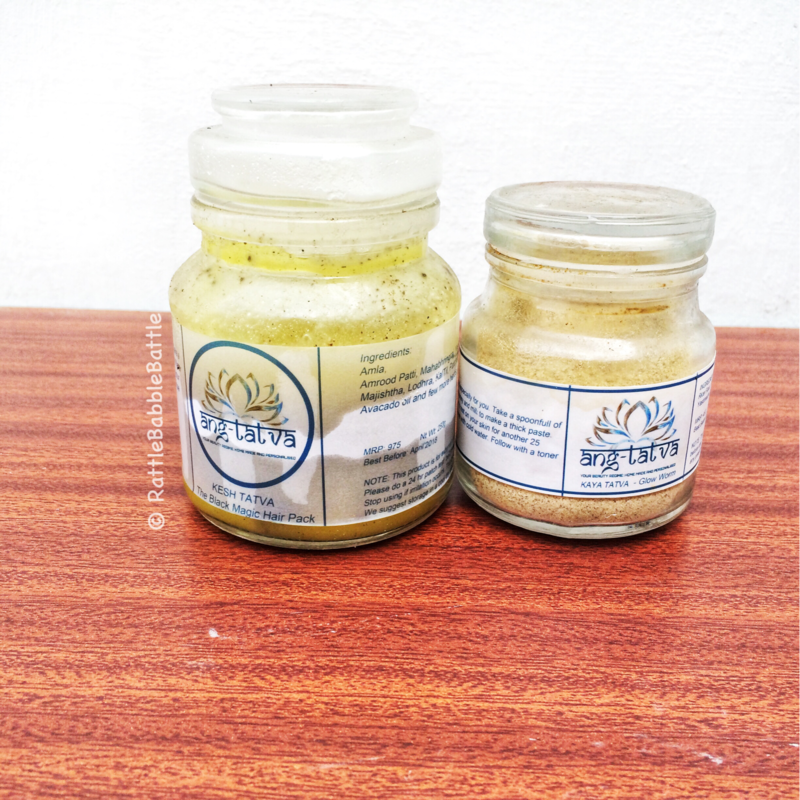 I am sure if you are on social media you must have heard about the skin care products by Ang Tatva , a skin care product personalised as per your skin type and delivered to your door step.And the best part is the products are all made of natural ingredients and are completely safe and chemical free.The person behind this skin care range is a mother of two and does an excellent job managing her business and kids.Being a mother she understands the importance of skin care in a mom’s life takes a back seat and hence no time to take care of oneself the natural way using the house hold ingredients. I seriously feel there is nothing better than getting these products all ready made. I have used both the product thrice in a span of three weeks and here is my experience and review.